Based on Alison Bechdel’s best-selling graphic memoir, Fun Home is a riveting and refreshing musical take on seeing your childhood through an adult perspective. Alison, a 43-year-old lesbian cartoonist, journeys through three stages of her life as the unpacks her complex relationship with her father. As she dissects her childhood memories, she finds out they had more in common than she thought. 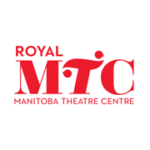 Winner of 5 Tony® Awards, including ‘Best Musical’, Fun Home is a must-see dramedy filled with hope and heart, making its Manitoba premiere on our stage. Fun Home has received international acclaim for its extraordinary story and brilliant musical score.